How did you imagine the extension of the museum and the expansion of its exhibition area? We proposed a scheme to extend the Musée Unterlinden on the basis of two building complexes facing each other across a future public square, the Place Unterlinden: on one side, the medieval cloister with the chapel containing Grünewald’s Isenheim Altarpiece, and on the other, the new wing, echoing the volumes of the chapel and forming a second courtyard with the baths buildings on the other side of the Place Unterlinden. Between these two complexes stands a small building (the little house), which is an interpretation of a building that marked the entrance to the convent’s former farm, and marks the presence of the museum in the city. The convent and the new wing are linked by an underground gallery. The gallery, consisting of a succession of three exhibition rooms, passes through the little house. What was your thought process in terms of architecture? We wanted to achieve a configuration within the urban environment and an architectural language that would integrate into the old city, but at the same time reveal its contemporary character to those who looked closer. Standing at the centre of the square facing the Sinn Canal, the entrance to the new museum leads into the convent, with its delicately restored façade. These renovation works were planned in close collaboration with the architects of the Historic Monuments service, led by Architect in Chief Richard Duplat. The scheme required a close connection between three different dimensions: urban planning, museography and architecture. 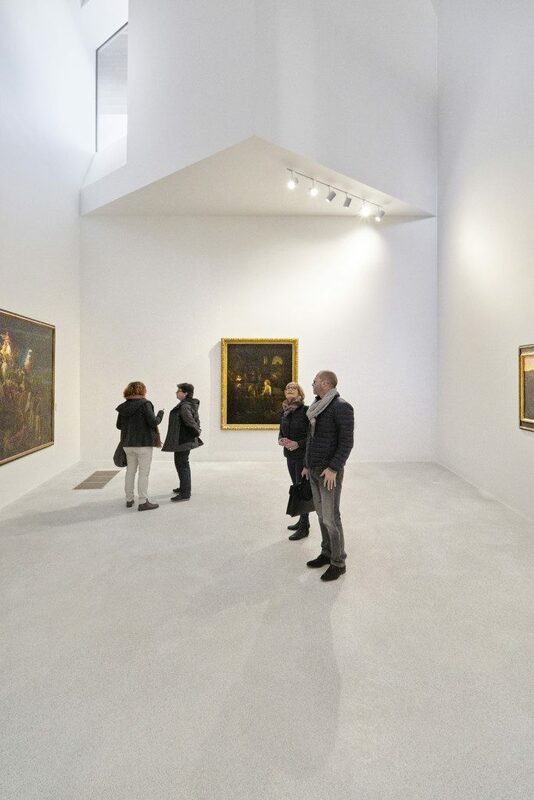 The Musée Unterlinden is part of the city’s history, in terms of both its architecture and its collections, so the project visualises this connection in a new architectural synthesis providing the means to project the museum into the future. 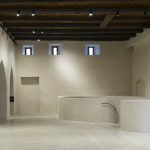 How did you recreate the museum’s connection to the city? It seemed necessary to pay particular attention to the Place Unterlinden and the role of the Sinn Canal, and to think globally about the museum’s local environment. The objective was to harmonise its exterior surroundings in order to lend the project an urban, architectural and functional coherence whilst supporting its insertion into the broader protected area. The refurbishment of the Place Unterlinden therefore formed an integral part of the extension project. Rather than introducing modernist or contemporary architecture into the space, the idea was to partially reconstruct parts of the original historic fabric of the city, for instance with the reopening of the Sinn Canal, which became the central feature of this new public space. The Place Unterlinden has regained its significance rooted in history and the time when a complex known as the Ackerhof, consisting of stables and a farm, stood opposite the convent. What was a bus station and a car park before the museum’s renovation is now a new public, urban space. How did you imagine the new building for the extension? The new wing echoes the volumes of the Dominican Chapel and evokes historic architecture without imitating it. The broken-brick façades are a contemporary solution providing a roughness of texture that integrates the building into its historical context in the centre of Colmar. 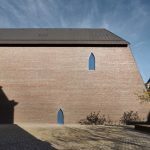 The roof and the inclined gable are clad in copper, and the little house on the square uses the same materials. 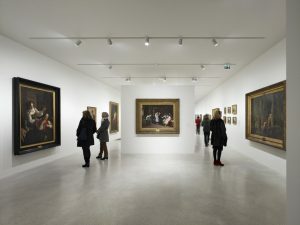 A key function of the building forming this new wing is to hold temporary exhibitions and house the collections of 20th and 21st-century art over three floors, increasing the exhibition space by 1000 m2. The windows frame specific views over the city, providing a sense of orientation, as well as allowing localised natural light into the museum. These windows are designed to transform from a rectangular opening inside into an ogival arch on the outside. On the first floor, the former baths building connects to the new wing. 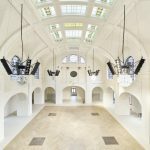 The baths section will be partly an events space and will occasionally accommodate art installations not requiring climate control. The baths will therefore be a space that is visited and used by the people of Colmar for various events. 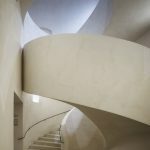 Was the project also a way of enabling visitors to rediscover the museum’s buildings? With the removal of the 1980s museum installations, the rooms have been returned to a state similar to their past appearance. We uncovered original wooden ceilings, and unblocked windows that had long been bricked up, giving views onto the cloister and the city. The roof of the church has been renovated and a new floor laid. 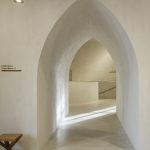 A spiral staircase, which does not immediately reveal itself as a new architectural addition, leads visitors down to the underground gallery, which links the convent to the new building. 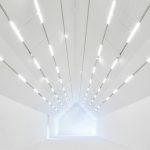 For the gallery and the new exhibition building, which presents the 19th and 20th-century collections, we opted for an abstract, contemporary architectural language in white. 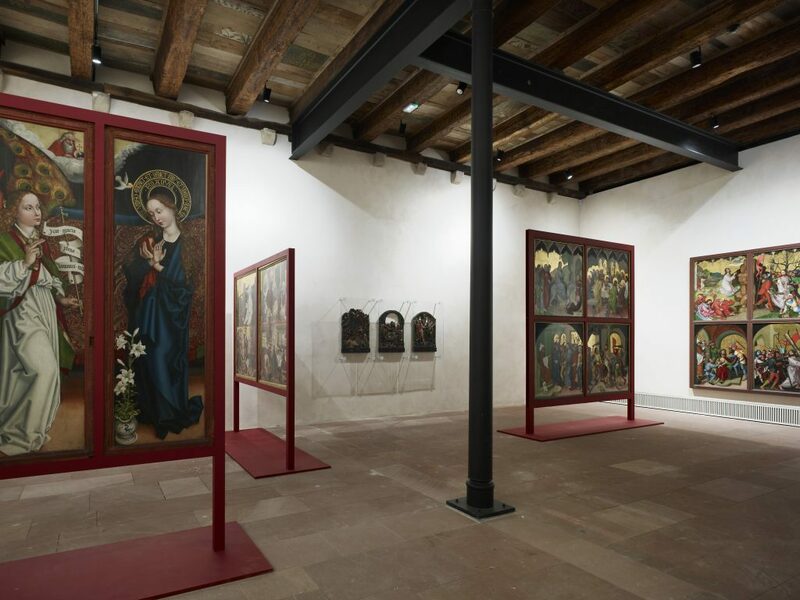 On the second floor of the new building, with its pitched roof and extraordinary height of 11.5 metres, the volume of the room devoted to temporary exhibitions evokes that of the Dominican Chapel standing opposite. What was your museographic plan for the reinstallation of the museum’s collections? 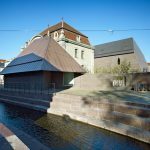 The museography was developed in close collaboration with Jean-François Chevrier and Élia Pijollet, in a constant dialogue with the Musée Unterlinden’s curators, and goes hand in hand with the architecture. 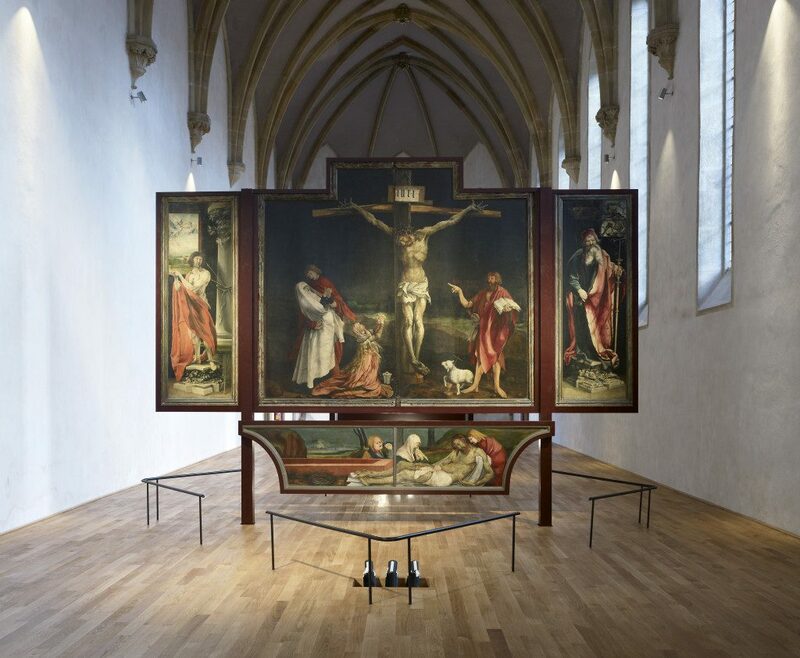 The Isenheim Altarpiece is still displayed in the convent chapel, which is now brighter and less cluttered. 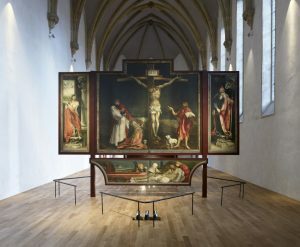 The altarpiece is now presented within sober steel structures that reveal the painted wooden panels and accentuate its status as a work of art. The lighting for the altarpiece has also been redesigned. The ground-floor rooms surrounding the cloister display paintings, sculptures, small altarpieces and various works covering the period from the 11th to the 16th century. The basement contains the archaeological collections. 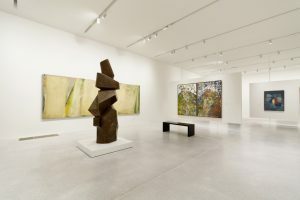 The underground gallery consists of three very different exhibition rooms. 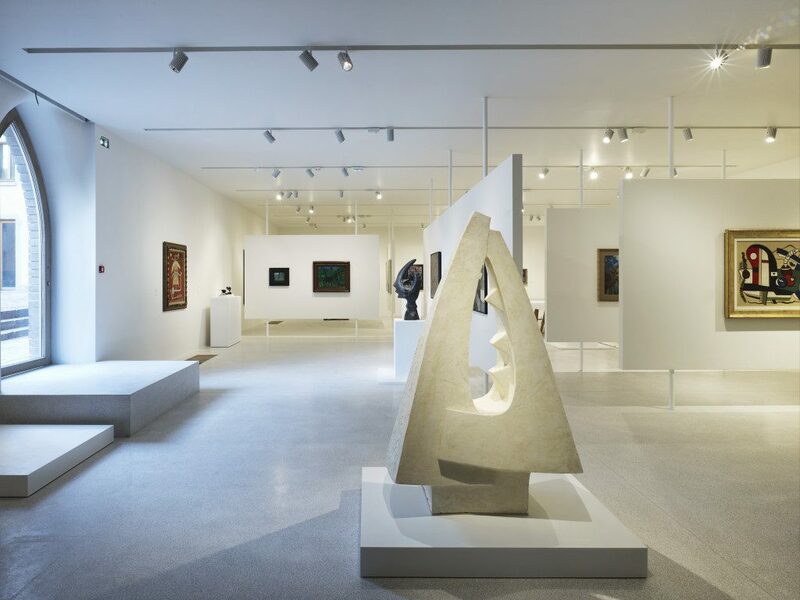 Beginning with the history of the Musée Unterlinden, we continue with a selection of 19th and early-20th-century works forming part of the chronological display. The second room showcases three of the museum’s most significant works. Located beneath the little house, this space is an anchor point for the museum, in which the three dimensions of the project – urban planning, architecture and museography – converge. 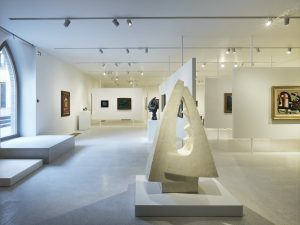 The ground floor and the first floor of the new building are given over to the chronological presentation of the 20th-century collection. The works or groups of related works are presented in fluid spaces partitioned by display panels, which organise and clearly structure the floor’s volume rather than subdividing it.